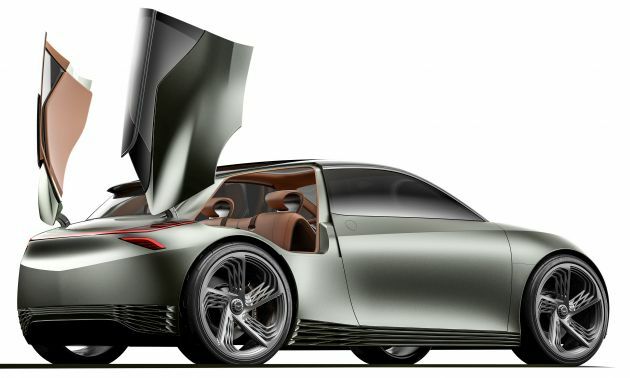 Genesis Mint Concept – an electric Korean MINI rival? Think of a premium car and one would usually imagine a large rear-wheel drive sedan with plenty of grace, space and pace, but people tend to forget that upmarket small cars are lucrative business as well – as the success of BMW’s MINI and Mercedes-Benz’s compact car range proves. 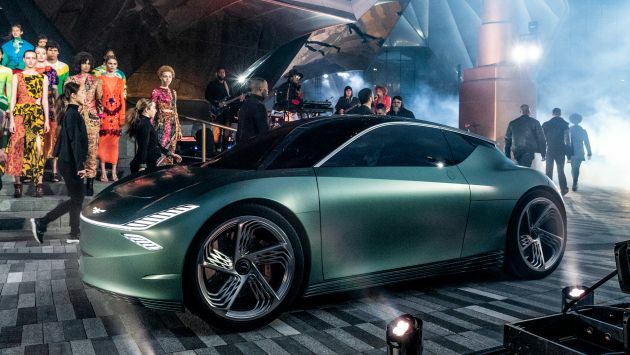 Now, Hyundai’s luxury offshoot Genesis is heading down that path with the Mint Concept, the company’s take on a high-end electric city car. In pursuing a smaller form factor, Genesis has probably produced the most cohesive interpretation of its nascent design language yet, draped over a distinctive three-box profile and short overhangs. The signature quad-lamp graphic is mirrored at the front and back, stretching across the width of the car to form wraparound light bands, while the opening of the crest-shaped grille has been minimised in line with the reduced cooling requirements of the electric powertrain. Along the side, the sweeping shoulder line follows the outline of the low-slung roof, before kicking up over the rear haunches towards the rear end. A “G-Matrix” pattern can be found in the design of the massive wheels and as vents along the flanks and around the rear to aid battery cooling and airflow. The pert, curvaceous styling is finished in a gorgeous shade of matte Hunter Green. 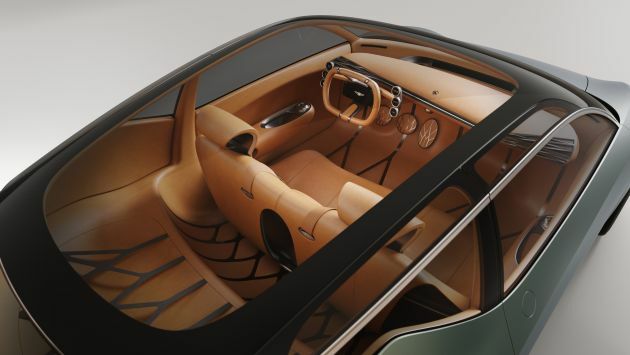 Inside, the reductive design continues with the expansive dashboard and floating bench seat, although the car is a strict two-seater. In front of the driver sits an oblong steering wheel with a large central display for primary vehicle information, surrounded by six smaller round displays showing other bits of critical data. An armrest folds out from the centre of the seat to reveal a control knob. The “G-Matrix” graphic can again be found on the air vents, the pedals and the floors of the passenger and cargo compartments. Speaking of cargo, the Mint eschews a traditional tailgate for boot access in favour of a pair of outlandish rear scissor doors, and the entire interior is finished in cognac leather. No concrete technical details have been revealed, but Genesis says that the Mint is capable of an estimated 320 km of range and can be charged via a 350 kW fast charging station. 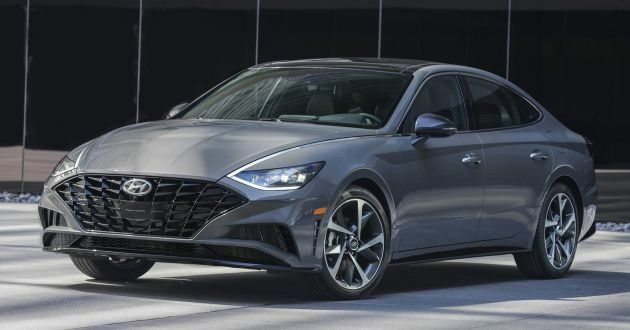 The 2020 Hyundai Sonata has been presented at the ongoing New York International Auto Show, several weeks after the Korean carmaker lifted the veils off of the eighth-generation (DN8) model earlier in March. Styling-wise, the latest Sonata certainly commands quite a bit of presence, with clear inspiration from the Le Fil Rouge (HDC-1) concept. 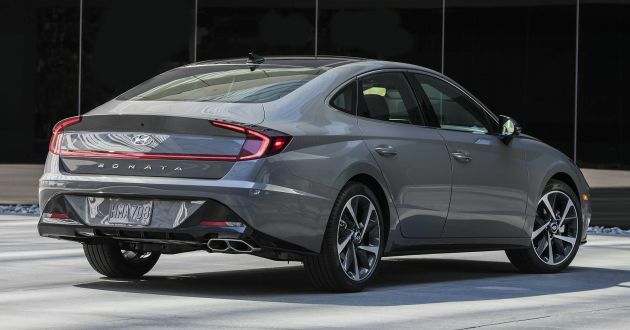 Following the theme of ‘Sensuous Sportiness’, the Sonata now wears a four-door coupe body that is remeniscent of the Volkswagen Arteon and Audi A7 Sportback. At the front, the Digital Pulse Cascading Grille that blends seamlessly with the sculpted bonnet. Depending on the variant, two different lower apron designs are present, with the more subtle option sporting a wide chrome trim that bisects the upper horizontal grille slats and lower intake, with corner inlets to boot. A more aggressive look features a bumper with plenty of angular intakes, including a wide-width one further down, while the grille takes on the “parametric jewel” pattern seen on the above-mentioned concept. The new Sonata retains a design element from the seventh-generation (LF) model with a chrome line that flows from the headlamps, passing the wing mirrors before looping around the windows. However, this has been updated to incorporate what Hyundai calls Hidden Lighting Lamps, which are extensions of the LED daytime running lights. This lighting architecture was first seen on the concept, and should make the Sonata stand out when they are illuminated at night. Along the sides, you’ll notice a subtle crease line from the front wheels right on through to the rear bumper, “cutting” through the wheels that are offered in 16 to 18 inch sizes. Moving to the rear, the FC Honda Civic-esque taillights are linked by a light strip, and they are pushed further out to create pointed areas that meet with the side character line. Dimension-wise, the new Sonata is now longer at 4,900 mm (+45 mm), wider at 1,890 mm (+25 mm) and has an enlarged wheelbase of 2,840 mm (+35 mm). The sleeker look sees a compromise to its height, which now measures 1,445 mm (-30 mm). The new shape also results in a drag coefficient of just 0.27, with a flat underfloor and finned taillights helping in this regard. The design overhaul extends to the interior too, with a new dashboard layout that is highlighted by a new 10.25-inch touchscreen infotainment and a 12.3-inch digital instrument cluster tucked away within the aeronautic-inspired instrument binnacle. Other highlights of the interior include a steering wheel that appears to mimic the frown of the sportier bumper option, slim air vents, a two-tone colour scheme, shift-by-wire buttons instead of a traditional gear lever and straightforward climate control switchgear. A wide range of equipment is available here too, including a Bose Premium sound system, sunroof, heated and ventilated front seats and navigation function. There’s also the Hyundai Digital Key that uses NFC to allow a device or phone to unlock the vehicle. Safety kit is pretty good too with nine airbags and the latest SmartSense advanced driver assistance systems. Standard on the Sonata are Forward Collision-Avoidance Assist, Lane Keeping Assist and Advanced Smart Cruise Control with Stop and Go. Other available systems include Highway Driving Assist, Blind-Spot View Monitor and Blind-Spot Collision Warning (BCW) and Safe Exit Assist. For the United States market, the Sonata is offered with two Smartstream petrol engines. The first is a 2.5 litre naturally-aspirated GDI engine with 191 hp and 245 Nm of torque, while a 1.6 litre turbocharged four-pot makes 180 hp and 264 Nm. Both engines are paired to the same eight-speed automatic transmission, with drive going to the front wheels. Driving dynamics also gains a boost thanks to enhanced suspension geometry for better stability and responsiveness. Enhancements include reinforcing the subframes for better rigidity, increasing or reducing bump/roll steer, added reinforcement and optimising the thickness of the trailing arm. 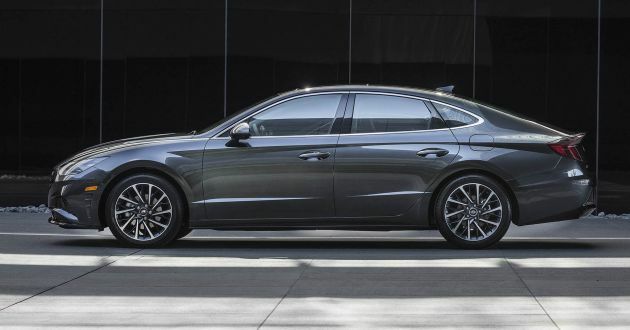 Production of the 2020 Sonata starts in September at Hyundai Motor Manufacturing Alabama, with retail sales beginning from October. Like what you see? ProEXR File Description =Attributes= cameraAperture (float): 36 cameraFNumber (float): 8 cameraFarClip (float): 1e+030 cameraFarRange (float): 1e+018 cameraFocalLength (float): 40 cameraFov (float): 18.5866 cameraNearClip (float): 0 cameraNearRange (float): 0 cameraProjection (int): 0 cameraTargetDistance (float): 0 channels (chlist) compression (compression): Zip16 dataWindow (box2i): [0, 0, 5999, 4499] displayWindow (box2i): [0, 0, 5999, 4499] lineOrder (lineOrder): Increasing Y pixelAspectRatio (float): 1 screenWindowCenter (v2f): [0, 0] screenWindowWidth (float): 1 type (string): “scanlineimage” =Channels= A (half) B (half) CAR_PNT_FLAK.B (half) CAR_PNT_FLAK.G (half) CAR_PNT_FLAK.R (half) Diffuse.B (half) Diffuse.G (half) Diffuse.R (half) G (half) GI.B (half) GI.G (half) GI.R (half) MMRE_0000.B (half) MMRE_0000.G (half) MMRE_0000.R (half) MMRE_0001.B (half) MMRE_0001.G (half) MMRE_0001.R (half) MMRE_0002.B (half) MMRE_0002.G (half) MMRE_0002.R (half) MMRE_0003.B (half) MMRE_0003.G (half) MMRE_0003.R (half) MMRE_0004.B (half) MMRE_0004.G (half) MMRE_0004.R (half) MMRE_0005.B (half) MMRE_0005.G (half) MMRE_0005.R (half) MMRE_0006.B (half) MMRE_0006.G (half) MMRE_0006.R (half) MMRE_0007.B (half) MMRE_0007.G (half) MMRE_0007.R (half) MMRE_0008.B (half) MMRE_0008.G (half) MMRE_0008.R (half) MMRE_0009.B (half) MMRE_0009.G (half) MMRE_0009.R (half) MMRE_0033.B (half) MMRE_0033.G (half) MMRE_0033.R (half) Normals.X (half) Normals.Y (half) Normals.Z (half) R (half) Raw light.B (half) Raw light.G (half) Raw light.R (half) Reflect Filter.B (half) Reflect Filter.G (half) Reflect Filter.R (half) Reflect.B (half) Reflect.G (half) Reflect.R (half) Refract.B (half) Refract.G (half) Refract.R (half) SI.B (half) SI.G (half) SI.R (half) Shadow.B (half) Shadow.G (half) Shadow.R (half) Specular.B (half) Specular.G (half) Specular.R (half) Vray Lighting.B (half) Vray Lighting.G (half) Vray Lighting.R (half) Z (half) clearCoat.B (half) clearCoat.G (half) clearCoat.R (half) flakeAdd. 38 comments | Leave a comment? 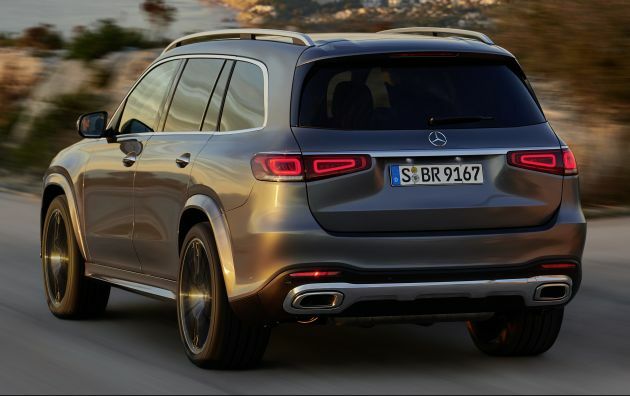 Ever since Mercedes-Benz bestowed the GLS moniker to its largest SUV, it’s been billing it as the “S-Class of SUVs” – even though the car was really just a bigger GLE with an extra row of seats. Now, however, Stuttgart has finally put its money where its mouth is by giving the new X167 model more of everything, in an effort to fend off advancing competition like the new BMW X7. Not least of its efforts is the car’s impressive girth. Measuring 5,207 mm long and 1,956 mm wide, the new GLS is 77 mm longer and 22 mm wider than before, while its 3,135 mm wheelbase is 60 mm longer. To put that into perspective, that’s just 39 mm shorter than a long-wheelbase S-Class and 57 mm wider. 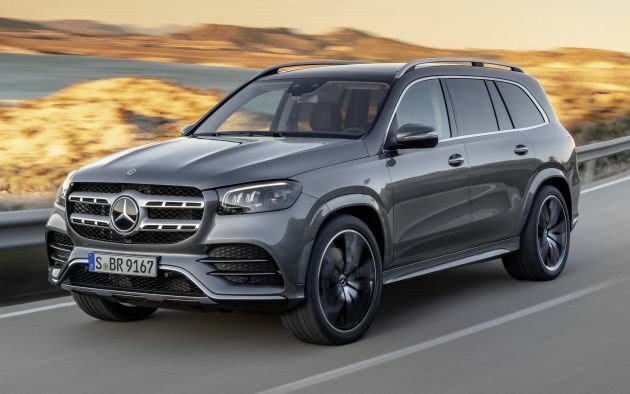 Masking that increase in dimensions is a more athletic design that bears more than a passing resemblance to the latest GLE, complete with the upright octagonal grille that is becoming a hallmark of Mercedes SUVs. Marking its status as a true range-topping model, the car comes as standard with Multibeam LED headlights with three daytime running light sections (as per the S-Class) and a whopping 112 diodes on each side. Along the side, there are squared-off wheel arches and softer, calmer surfacing than before, topped off by the powerful rear haunches that flow into the tail lights. Speaking of which, the broad two-piece LED lamps get three-dimensional blocks which are again reminiscent of the GLE, and they’re joined by a full-width chrome strip. 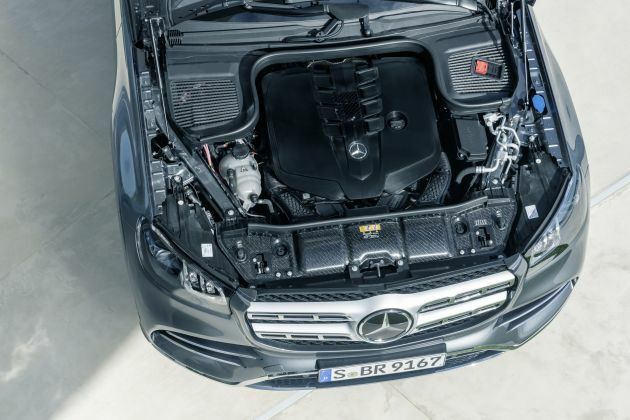 Despite the massive size, the GLS has a drag coefficient of just 0.32, down from 0.35. The dashboard is also shared with the GLE, with the usual Mercedes flatscreen display panel – with twin 12.3-inch displays as standard – mounted on a distinctive vent-like support, plus a tall centre console with integrated grab handles. As on the GLE, the GLS comes with the Mercedes-Benz User Experience (MBUX) infotainment system with an optional Interior Assistant gesture control system. It’s at the rear, however, where the GLS really earns its lofty billing. All seven seats are power-adjustable as standard, and you can also spec the car with six seats – replete with armrests for the second row – for even greater luxury. These second-row seats, which offer 87 mm more legroom than before when placed in their rearmost positions, can be outfitted with heating, ventilation and massage functions. Those passengers also get access to an extended centre console with cupholders, a wireless smartphone charging pad and additional USB ports so that your kids’ phones will never run out of battery. There’s even an optional five-zone (!) climate control system with a dedicated heater and air-conditioner for the third row – which, by the way, is full-sized and can seat people up to 194 cm in height. Entertainment is provided by way of the optional MBUX Rear Seat Entertainment System, which consists of twin 11.6-inch touchscreens that can be used to watch movies, listen to music, use the integrated web browser or even view trip information. Another optional feature is a seven-inch Android tablet as part of the Rear Comfort package Plus, which can be used to control the infotainment, seats and climate control. The seats can be folded flat using buttons in the boot, and there’s also a button to stow all seats simultaneously. Do that and cargo capacity swells to a humongous 2,400 litres, and the loading of larger, heavier items can be made easier by lowering the standard Airmatic air suspension by approximately 50 mm. Motivation comes from a range of petrol and diesel engines, the former with an EQ Boost 48-volt mild hybrid system that adds 22 hp and 250 Nm of boost. From launch, the GLS 450 will be offered with an M256 3.0 litre twin-turbocharged straight-six producing 367 hp and 500 Nm of torque, while a GLS 580 will arrive shortly after. This debuts a new mild hybrid version of the M176 4.0 litre biturbo V8, producing 489 hp and 700 Nm. On the oil burning side is the OM656 3.0 litre turbo straight-six in two variations – a GLS 350 d with 286 hp and 600 Nm and a GLS 400 d with 330 hp and 700 Nm on tap. Both versions come with a selective catalytic reduction (SCR) converter with an ammonia slip catalyst (ASC) for more efficient use of AdBlue liquid. All models are fitted with a nine-speed 9G-Tronic automatic transmission as well as a 4Matic all-wheel drive system – this can send up to 100% of torque to each axle and induce oversteer or understeer on demand for improved safety and agility. A new off-road transfer case with a low-range gearbox is available. The air-sprung chassis comes with Adaptive Damping System Plus as standard, but buyers can specify a 48-volt E-Active Body Control system which can individually control the spring and damper rates on each wheel, providing improved comfort and off-road performance. This system enables the car to lean into corners and even rock itself free when stuck in sand. Another new feature is the Carwash function that will enable easier entrances into carwashes. In this mode, the suspension moves into the highest position to reduce track width, while the mirrors fold, the windows and sunroof close, the 360-degree camera system is switched on and the rain-sensing wipers are turned off. The climate control also enters into air recirculation mode. As expected, safety kit is vast and includes the full complement of semi-autonomous driving features. These include Distronic adaptive cruise control with the new Active Stop-and-Go Assist that will automatically keep the car in its lane at speeds of up to 60 km/h – mirroring the Level 3 self-driving functionality on the new Audi A8. Trailer Manoeuvring Assist is also offered as an option in Europe. This is the all-new Hyundai Venue, which recently made its world debut at the 2019 New York International Auto Show. The Korean carmaker has plenty of SUVs and crossovers in its line-up already, and the Venue is its latest addition, joining the Kona, Tucson, Santa Fe, Nexo and Palisade. It’s a small vehicle this, smaller even than the Kona, and there are official dimensions to prove it. The Venue measures 4,036 mm long, 1,770 mm wide, 1,565 mm tall and has a wheelbase of 2,520 mm. Compared to the Kona, the Venue is 130 mm shorter in terms of length, 30 mm narrower and its wheelbase is down by 81 mm, although its height is marginally more by 15 mm. Of course, you don’t get the sense that the Venue is that compact, especially when you look at the way it’s styled. 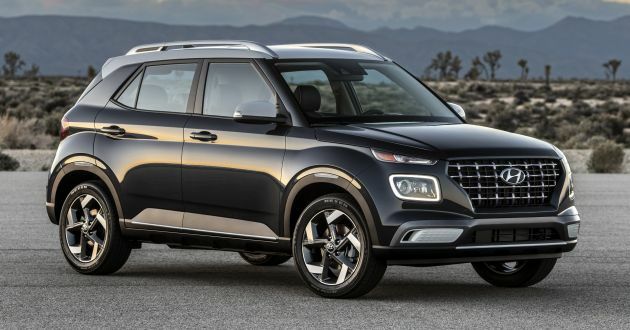 The front Cascading grille is a recurring theme on other Hyundai models, while the cube headlamps and slim upper LEDs are reminiscent of the Kona and Nexo. A slightly protruding lower apron is where you’ll find contrast trim pieces that feature a plus motif on them, which is also applied on the grille mesh. In profile, the Venue is rather interesting to look at, with shoulder and character lines – the latter over the arches – helping to “frame” the door handles when seen under a certain light. The rising A-pillar leads to a roof that gently slopes towards the rear window, with a two-tone paintjob helping create a “floating” look for the roof. There are eight available exterior colours – Ceramic White, Black Noir, Steller Silver, Galactic Gray, Scarlet Red, Intense Blue, Green Apple and Denim – paired with wheels ranging from 15 to 17 inches in size. 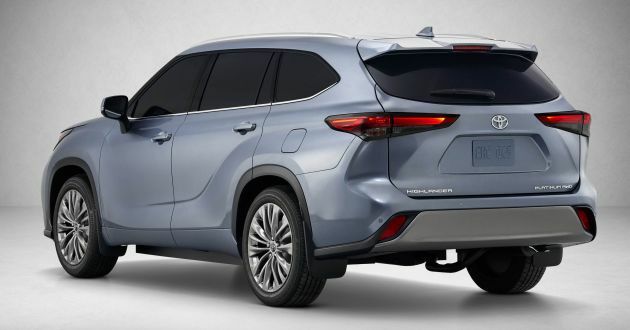 Around the back, a subtle wedge is applied onto the upright tailgate, which blends neatly with the taillights that sport a distinct signature. 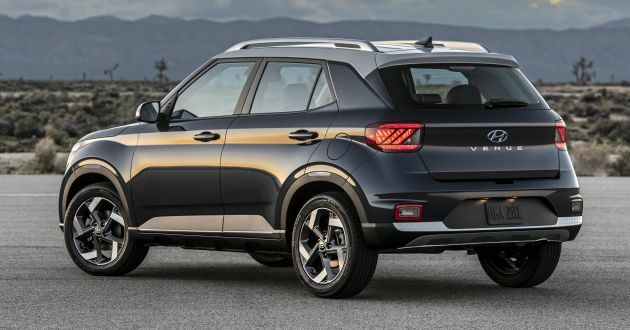 The central Hyundai and model emblems are ideas seen on the Palisade and Nexo, while further down are the rear fog lamps, reflectors and more of the plus sign-themed trim. On the inside, the Venue’s cabin adopts a two-tone colour scheme that does make it rather welcoming. Highlights here include a 8-inch touchscreen infotainment system on the dashboard, which is positioned just above its physical buttons and dials, as well as two air vents. Below that is the switchgear for the single-zone climate control system, while the gear lever, power and USB ports, as well as controls for the available drive modes and heated seats are found on the centre console. The steering wheel and instrument cluster setup are familiar, as they resemble those used in the Kona. Hyundai also provided a few important figures if you’re still not convinced the Venue is smaller than the Kona, as the former offers a passenger interior volume of 2,602 litres (91.9 cubic feet) compared to the Kona’s 2,665 litres (94.1 cubic feet). When it comes to cargo capacity, the Venue has 530 litres (18.7 cubic feet) with the 60:40 split-folding seats up, and 903 litres (31.9 cubic feet) with them folded down. 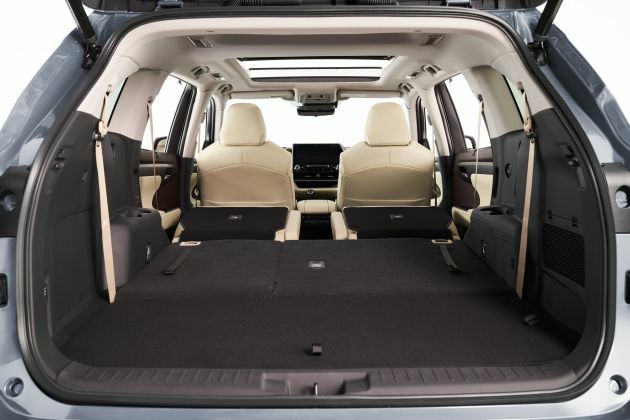 By comparison, the Kona offers 544 litres (19.2 cubic feet) and 1,297 litres (45.8 cubic feet) respectively. The Venue offers an impressive list of driver assistance systems, including Forward Collision-Avoidance Assist (FCA), Lane Keeping Assist (LKA), Blind-Spot Collision Warning (BCW), Driver Attention Warning (DAW) and Rear Cross-Traffic Warning (RCCW). For now, Hyundai has listed a Smartstream Gamma 1.6 litre four-cylinder as the only available engine for the Venue. The mill is essentially an upgraded version of the previous Gamma engine, benefitting from a high tumble combustion system, dual port fuel injection, improved thermal efficiency and an external EGR cooler. These enhancements are claimed to improve fuel economy, with Hyundai projecting the Venue to deliver up to 14 km/l (33 mpg) combined. The engine can be paired with either a six-speed manual transmission or Intelligent Variable Transmission (IVT) automatic. For the curious, the name – Venue – references a “place” people want to be seen in, while the vehicle itself embodies the characteristics of “the place to be.” It’s Hyundai’s nature to name their SUVs after a city of place, although the Venue might need a bit of explaining. Interested? 8 comments | Leave a comment? 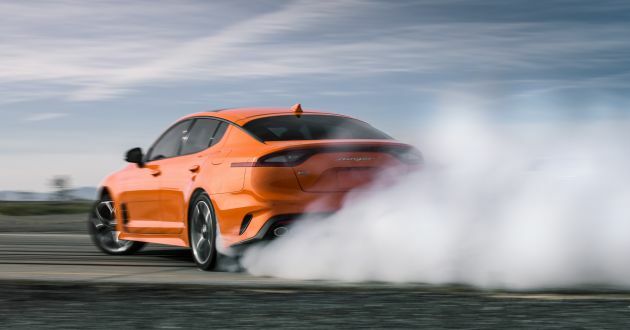 2020 Kia Stinger GTS – Dynamic AWD with drift mode! 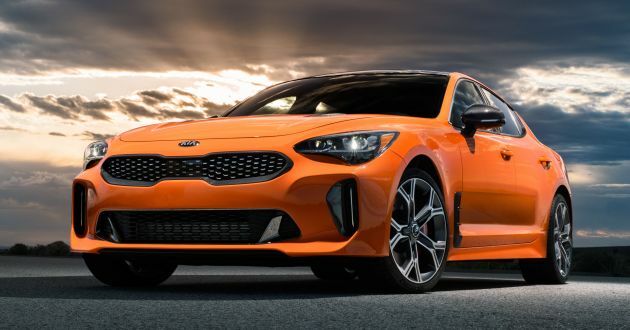 The 2020 Kia Stinger GTS has made its debut at the New York International Auto Show, and production of the limited edition five-door fastback is limited to just 800 units. While it certainly looks more sporty than the standard model, the upgrades aren’t just purely aesthetics. To kick things off, the Stinger GTS is fitted with a new dynamic all-wheel drive system (D-AWD) that’s been specifically tweaked to bridge the gap in driving behaviour between the AWD and RWD Stinger GT. D-AWD includes a mechanical limited slip differential, as well as drive modes that amplify rear-biased dynamics. Three drive modes are available – Comfort, Sport and Drift. In comfort mode, 60% of power is sent to the rear for stability, whereas sport mode raises that to 80%. In drift mode, all 100% of power is routed to the rear, and the TCU will hold gears without upshifting. The Stinger GTS also gets a new control logic that comprises slip control, counter steer direction, transmission shift pattern and revised stability control. Besides that, the engine and transmission are unchanged. Power comes from the same 3.3 litre twin-turbo V6 engine, making 365 hp at 6,000 rpm and 510 Nm of torque between 1,300 and 4,500 rpm. 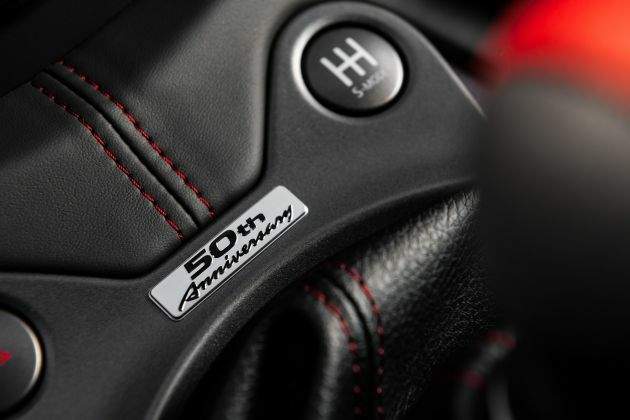 When paired with an eight-speed auto, it does the zero to 100 km/h sprint in 4.9 seconds. Aesthetically, the special edition GTS is finished in the striking “Federation” orange paint, and features genuine carbon-fibre parts that outline the signature tiger nose grille, side mirror caps and side vents. There’s also a new GTS rear emblem, as well as a Stinger emblem that’s replaces the Kia logo on the boot lid. Inside, the steering wheel and centre console are wrapped in Alcantara, whereas the headliner is replaced with premium suede-like Chamude (a type of artificial microfibre leather). Other cabin assortments include a sunroof, 720-watt Harman Kardon premium audio system with QuantumLogic and Clari-Fi signal enhancing technology, as well as Qi wireless charging tray for compatible smartphones. For pricing, the 2020 Kia Stinger GTS is expected to start from US$44,000 (RM182k) for the RWD and US$46,500 (RM192k) for the D-AWD model. What do you think of this? 2 comments | Leave a comment? 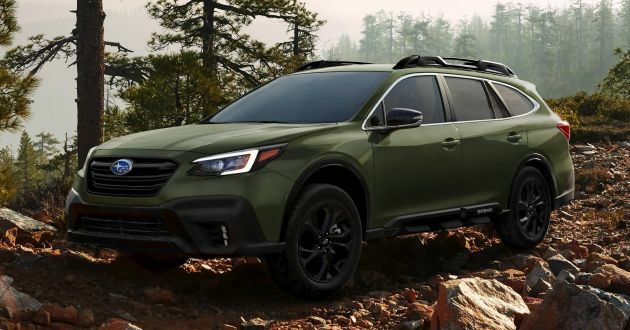 The Subaru Outback has been a core model in the Japanese carmaker’s line-up for over a quarter of a century, and at this year’s New York International Auto Show, the sixth-generation of the Legacy-based wagon is being presented for the first time. In conjunction with the introduction of new Outback, Subaru of USA also prepared a rather touching video (posted below), which is well worth a watch. Like many other Subaru models (XV, Impreza, Legacy and Ascent), the latest Outback rides on the Subaru Global Platform (SGP). 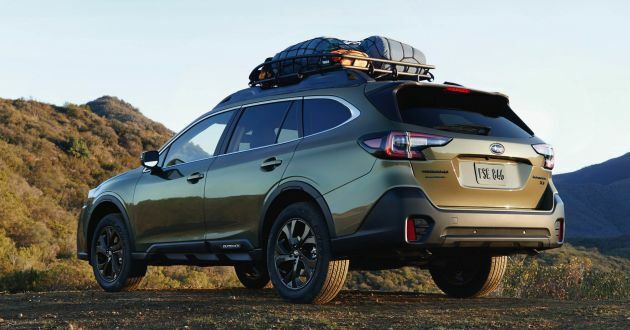 The architecture is 70% stiffer in both torsional and front suspension rigidity, as well as 100% stiffer in front lateral flexural and rear subframe rigidity compared to the previous Outback’s platform. As a result, the SGP provides increased safety, dynamics, along with reduced noise (by three dB), vibration and harshness (NVH). Crash protection is also improved, as the new body is capable of absorbing over 40% more energy in front or side crashes than before. The Outback uses MacPherson struts with new internal rebound springs, aluminum lower L-arms and new 23-mm hollow stabilizer bar for its front suspension. Meanwhile, the rear adopts a double-wishbone layout with subframe, coil springs and new 19-mm hollow stabiliser bar. The body itself is styled following Subaru’s “Dynamic x Solid” philosophy, which is tied in with the “Active x Tough” concept. From the front, just above the lower apron, the resemblance to the latest Legacy is uncanny. Cues such as the creased bonnet, large hexagonal grille (with a different slat design) and sleek headlamps with C-shaped LED daytime running lights are a familiar sight. 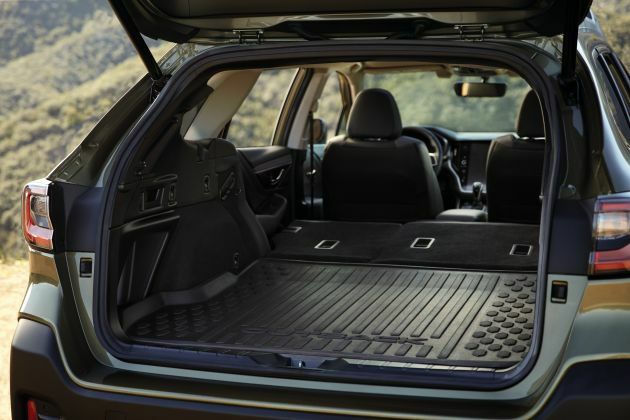 Beyond that, the Outback boasts all-around cladding finished in black or silver, a ground clearance of 220 mm and of course, more boot space thanks to the wagon portion of the body. That last bit also comes with angular taillights that are a little bit different than those on the Legacy. 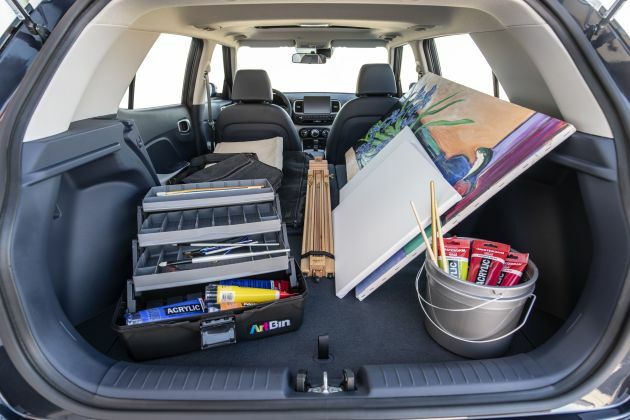 Bringing out some facts and figures, the Outback offers up to 2,143 litres (75.7 cubic feet) of cargo space with the rear seatbacks folded down. The wider tailgate opening also provides better access the cargo floor that spans up to 1,981 mm, while a hands-free power tailgate and one-touch lifting cargo cover are for convenience. Cabin-wise, the Outback looks pretty much identical to the Legacy, from the layout of the dashboard, to the shape of the instrument binnacle, right down to the design of the steering wheel and air vents. 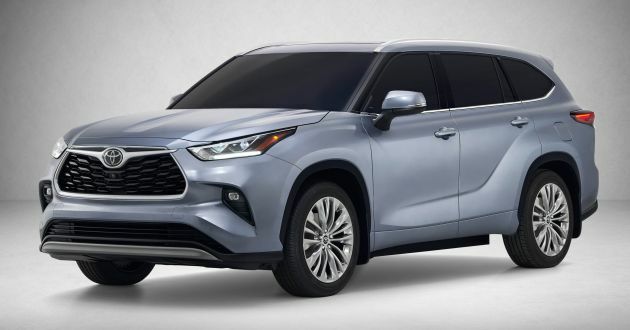 In total, there are seven trim levels offered in the United States – Base, Premium, Limited, Touring, Onyx Edition XT, Limited XT and Touring XT models – with the Onyx being a new addition. 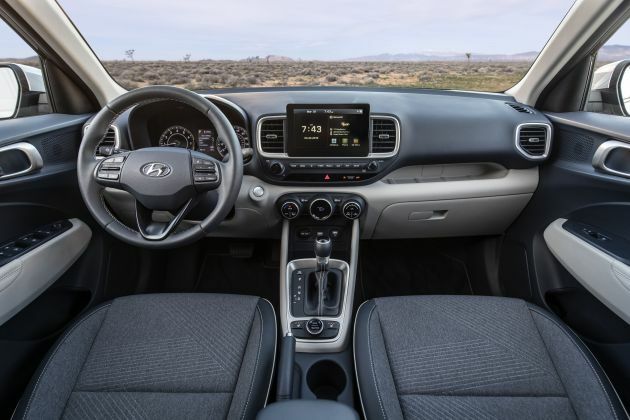 The large, 11.6-inch touchscreen infotainment system is standard on all trim levels except the Base, and is linked to the car’s multimedia, HVAC, X-Mode, Apple CarPlay, Android Auto and other functions. 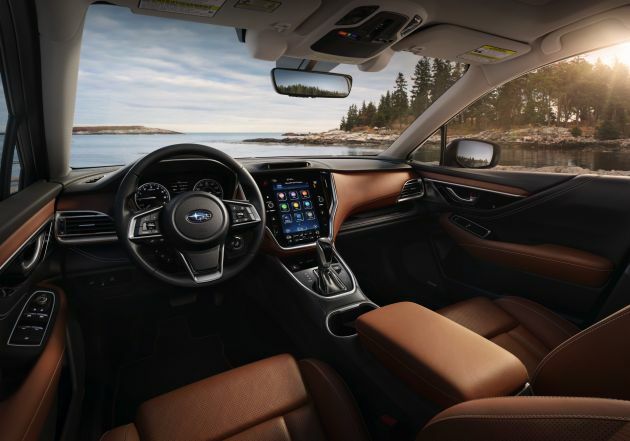 Available equipment for the Outback includes Nappa leather upholstery, 10-way power front seats, ventilated and heated seats, a 12-speaker Harman Kardon sound system, navigation function and satellite radio. Every Outback trim in the US will come as standard with eight airbags (including a driver knee airbag) and Subaru’s EyeSight Driver Assist Technology. The latter includes systems such as Advanced Adaptive Cruise Control with Lane Centering, DriverFocus Distraction Mitigation System and Pre-Collision Braking. Other available systems are LED Steering Responsive Headlamps, Reverse Automatic Braking, Blind Spot Detection with Lane Change Assist and Rear Cross Traffic Alert and EyeSight Assist Monitor with head-up display. Two engines are available, with both being the same offered for the Legacy. The first is a FA24F 2.4 litre turbo four-cylinder also used in the Ascent, which provides 260 hp and 376 Nm of torque on XT models. A non-turbo FB25DI 2.5 litre four-cylinder meanwhile, serves up 182 hp and 239 Nm. All Outback models get a Lineartronic CVT with eight virtual ratios and paddle shifters, along with Symmetrical All-Wheel Drive. 3 comments | Leave a comment? 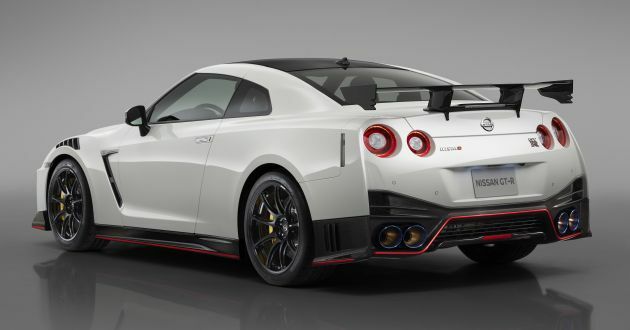 If you want the best version of the Nissan GT-R that you can buy from an official dealer, the Nismo is the one to have. 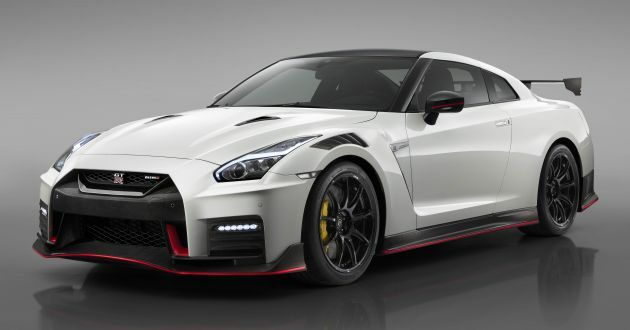 For the 2020 model year, the company has updated the GT-R Nismo with a number of upgrades to make it even more dynamic. First up, all the carbon-fibre components used for the front and rear bumpers, front fenders, bonnet, roof, side sill covers, trunk and rear spoiler have been lightened for a cumulative weight saving of 10.5 kg. Reductions from other upgrades and new components also help trim another 20 kg from the vehicle weight. New additions include the front fenders that mimic those on the GT-R GT3 race car, while the exclusive 20-inch RAYS forged aluminium wheels are not only lighter than before, but feature a nine-spoke design. The tyres paired with the wheels also have a wider tread and fewer grooves for an 11% increase in terms of contact patch. The VR38DETT 3.8 litre twin-turbo V6 is the same as before, and continues to feature a turbocharger design direct from the GT3 racer with a modified turbine shape and fewer blades. In terms of output, the mill provides 600 hp and 652 Nm of torque, while a six-speed dual-clutch transmission and all-wheel drive helps get the power down to the road. The transmission itself boasts updated software that improves the adaptive shift control, as well as a more refined ‘R’ mode. On the other hand, coming to a stop is now handled by a carbon ceramic brake system with larger rotors – 410 mm up front and 390 mm at the rear – along with new material for the brake pads. The The newly developed high-rigidity calipers are finished in bright yellow paint and can resist temperatures of 1,000 degrees Celsius. As for handling, Nissan has tweaked the GT-R Nismo’s suspension tuning to provide improved cornering stability, with enhanced yaw rate response and smoother ride quality. The steering now provides better linearity and precision than before, requiring minimal corrections at speeds of up to 300 km/h. Should the GT-R Nismo is a little too extreme (and costly) for you, the lesser GT-R Track Edition might be kinder to your wallet. It gets the same engine as the Nismo version, but items like the carbon-fibre roof and carbon ceramic brakes, are optional. 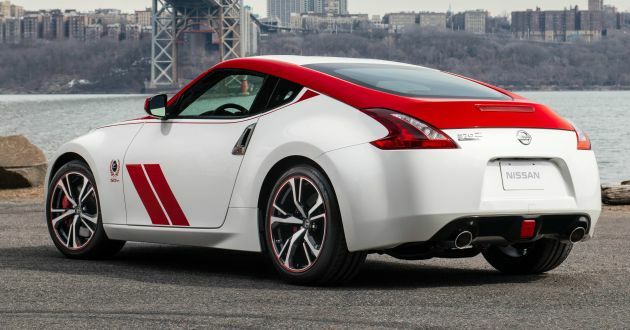 When it comes to automotive icons, the name “GT-R” is one that is easily identifiable, and has remained synonymous with Nissan for several decades. Some brands have tried to shake things up by adopting the same three letters sans the hyphen, but enthusiasts still associate the GT-R with the Hakosuka, Kenmeri and the king of the monsters, Godzilla. This year marks the 50th anniversary of the GT-R story, which began with the first Skyline GT-R, the KPGC10 that was released in 1969. This was followed by the KPGC110, although the model’s existence was short lived due to a fuel crisis in the 1970s, making it incredibly rare among the models in the range. By the end of 1973, Nissan cancelled the Skyline GT-R but would later revive it more than a decade later in 1989 with the Godzilla that everyone knows as the R32. The R33 and well-known R34 (RIP Paul Walker) continued the legacy before an all-new model – the R35 – arrived in 2007 to take the lead, albeit without the “Skyline” in its name. 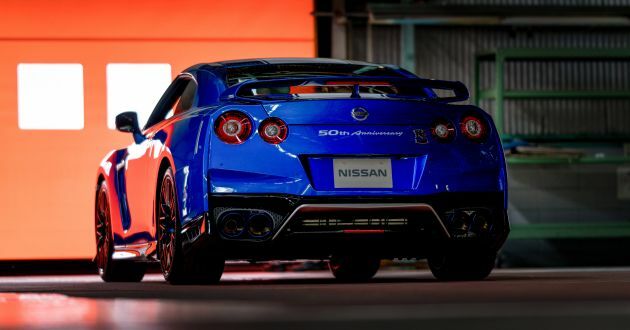 To celebrate half a century of the GT-R, Nissan has wheeled out something special at this year’s New York International Auto Show, the 2020 Nissan GT-R 50th Anniversary Edition. 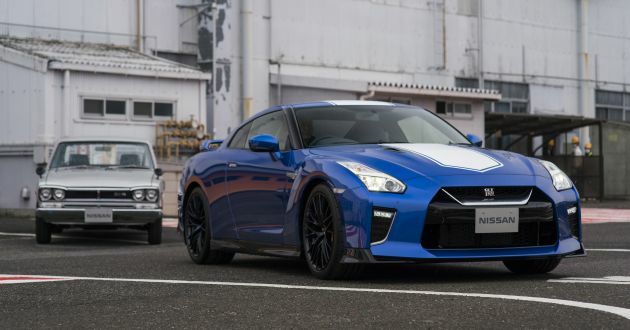 The special edition model is available in three two-tone exterior colour schemes, each meant to represent the GT-R’s liveries from the Japan GP Series. 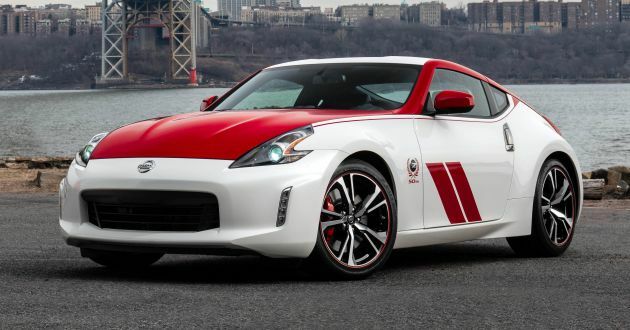 The first two – Pearl White with red stripes and Super Silver with white stripes – are rather rudimentary, and Nissan did little to explain them. However, the paintjob that will likely attract (and was given) the most attention is the return of Bayside (Wangan) Blue used on the R34 model. To ensure a vivid shade of blue is presetned with striking highlights and deep shadows, a four-coat, double-heat treatment process was used. This was complemented with white racing strips, along with blue accents on the wheel spokes. On the inside, a grey interior colour scheme is applied instead, with unique steering wheel and shift knob trim, special embossed seats, an Alcantara headliner with unique stitching, Alcantara-wrapped sunvisors and a dedicated plaque on the centre console. Beyond the asethetic improvements, the GT-R’s 3.8 litre turbocharged V6 remains as it, serving up 565 hp and 633 Nm of torque. A six-speed dual-clutch transmission, all-wheel drive and electronically controlled suspension are all standard. Nissan’s commitment to the GT-R goes as far as offering new parts to customers through its Nismo Heritage Parts programme, with the R32, R33 and R34 listed as models being supported. The company has even gone as far as putting the RB26 2.6 litre twin-turbo straight-six back into production. Long live the GT-R!